Professor Jenny Hocking lays bare all the secrecy behind the Federal Court's ruling on the Queen's and Sir John Kerr's Palace letters during the Whitlam Government Dismissal. THIS MONTH, the Federal Court ruled that the Palace letters – between Queen Elizabeth II and the Governor-General at the time of the Dismissal of the Whitlam Government – are "personal" and not subject to the Archives Act. This means that this historic correspondence will remain under lock and key in the National Archives and embargoed on the instructions of the Queen, potentially indefinitely. A glimpse of the inordinate determination to keep the Palace letters secret and the lengths taken to ensure that secrecy. Despite the obvious disappointment of the court’s ruling for knowledge of our own history, the case revealed important details about the letters and the archaic relationship between the Palace and the Governor-General. We now know that the Palace letters included letters, telegrams and attachments – as well as other people’s letters, newspaper clippings and commentaries – and that the letters covered the entirety of Kerr’s term as Governor-General, July 1974 – December 1977, not only the months before and after the dismissal. These attachments to the Palace letters are also of great importance in revealing exactly what Kerr told the Queen. Others have noted the importance of knowing whether Kerr provided the Queen with a partisan view of the highly polarized political situation in Australia. Which commentaries did he choose to send her? Did he mislead the Queen, as he did the Australian public, about his secret engagements with High Court justice Mason? Did he inform the Queen of his meetings with Chief Justice Sir Garfield Barwick in defiance of Whitlam’s advice and of his secret telephone communications with the leader of the opposition, Malcolm Fraser? 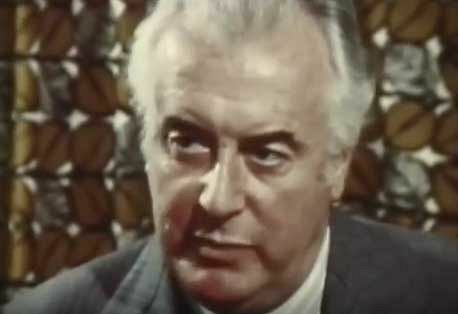 Most importantly, did Kerr tell the Queen of the Prime Minister Gough Whitlam’s decision to call the half-Senate election, to be announced in the House of Representatives on the afternoon of 11 November 1975? With the Federal Court’s decision, these critical details remain hidden from us. The case also revealed the remarkable, and troubling, extent of the determination to keep the Palace letters from public view. My initial action against the National Archives had sought the release not only of the original Palace letters but also of a second file consisting of a complete copy set of them – the duplicate file – also held by the Archives. This duplicate file, the result of the secret late-night photocopying by the official secretary on the Yarralumla photocopier in 1978, had been sent to Kerr in the south of France. After Kerr’s death in 1991, this copied file travelled a circuitous route first to Kerr’s second wife and then, after her death, to her daughter, Ms Bashford, before finally coming to the National Archives twenty years after the original Palace letters had been lodged there. My request for this second file containing the copies was denied by the Archives in 2011, the Archives informing me that these were personal records and that the file was "completely closed". I later requested an internal review of this decision and was again told that the file was "completely closed". It took another five years and a Federal Court action to reveal that this was simply not true. In 2017, with the Federal Court case underway, our legal team requested details of the access conditions for both the original Palace letters and the duplicates. Each of these was governed by their own "instrument of deposit", setting out their conditions of access, and we then received both these critical instruments of deposit. As expected, the instrument of deposit for the original Palace letters stated that they were under the embargo of the Queen until at least 2027 and only to be released with the approval of the Queen’s private secretary after that date. The access conditions set by the instrument of deposit for the duplicate set of Palace letters, however, were completely different. In fact, that instrument of deposit governing access to the duplicate letters, signed by Ms Bashford in 2004, clearly stipulated that they were to be "be made available for public access 30 years from their date of creation". The copies had been made by David Smith in 1978 and they should, therefore, have been opened for public access in 2008 — 30 years after their date of creation. So, when I requested access to them in 2011, they should already have been open for public access. Instead, the Archives had informed me that the file containing the copies of the Palace letters was "completely closed". With this dramatic revelation, two things were immediately clear. First, I had been seriously misinformed by the Archives when my initial request for access to the copy file had been denied. Second, and of more immediate significance to us, was that the copies of the Palace letters should now be released to us by the court — since their conditions of access had been revealed as requiring their release in 2008. What then transpired was entirely unexpected and disturbing. Unknown to me or the legal team, and with proceedings in the case against the National Archives in train, a new instrument of deposit for the copy file was arranged and signed just three weeks later. Suddenly, the clear and precise conditions which had been set in 2004, by which the copies of the letters should have been released, were now comprehensively redrawn. The new instrument of deposit for the copies mirrored the access conditions for the Palace letters themselves, placing them under the embargo of the Queen. By the time we were informed of this remarkable sequence of events, they had already taken place. To our great surprise, we were presented with a fait accompli — a new instrument of deposit duly signed by Ms Bashford and forwarded to the Archives’ solicitor just days earlier. With this, the chink in the impenetrable armour of secrecy that had protected the Palace letters from public view had been closed to us — before we even knew it existed. We are left to marvel at how far we have come from the original conception of the Australian Archives established by the Whitlam Government in 1974, with Professor Robert Neale, a historian, as its founding Director-General, as an organization committed to the facilitation of historical research and grounded in the presumption of public access. This article was originally published on 'Pearls and Irritations' and is republished with permission. Professor Jenny Hocking is an award-winning biographer and Emeritus Professor at Monash University. The Dismissal Dossier: Everything You Were Never Meant to Know About November 1975 – The Palace Connection, was published by Melbourne University Press in 2017. You can follow Professor Hocking on Twitter @JennyHocking2. Always independent. Subscribe to IA for just $5.